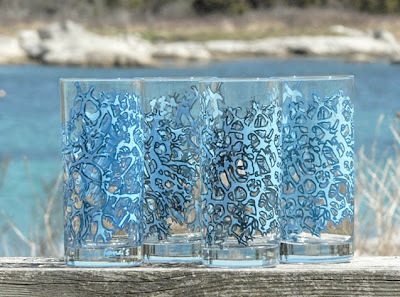 Today we're going to meet Kyla Francis, the Crafter behind some of Halifax's favourite glassware. What is your process? I screen print ceramic ink as a flat decal which I apply to the glasses and fire in my kiln just to the melting point of the glass so the colour is incorporated. What is your background? I took screenprinting and ceramics at NSCAD which gave me the background in the technology to start experimenting with glass in my own studio practice. 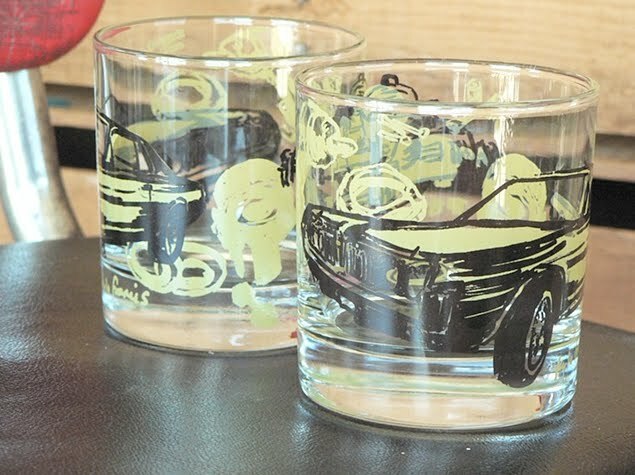 Glass wasn't taught at that university so most of my process has been self taught. When you're not selling at Crafters markets, where can I find your work? I sell at Argyle Fine Art and Love, Me Boutique here in Halifax and I also sell online, through my website, www.kylafrancis.com, and through a Pittsburgh online retailer, ModCloth. What makes Halifax Crafters different from other shows? Large tradeshows require pretty hefty investments that can stop emerging artists in their tracks. We wanted to create a space which was juried for the highest quality but that still allowed artists working with smaller runs to step in to craft show marketing, and that would be affordable enough to allow our artists to risk their wilder ideas. We always look for artists who are inventing their own processes and styles over those working in familiar traditions and as the group has grown we really have become the premier venue to find fresh new craft because of that mandate. I'll be doing my holiday shopping of course! There's so many different things offered at the show so I can usually find something even for hard to shop for types. I'll stock up on cards because I think receiving warm thoughts from someone dear is the best holiday decoration. 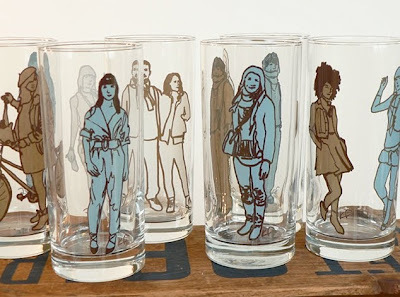 Next on the shopping list will probably be soaps (osha mae), glasses (kyla francis - shameless self promo) and dishtowels (bespoke uprising) because everyone I know bathes, drinks a beverage and does dishes on a regular basis, and they all deserve a little extra luxury while they're at it. Where do you do your work? I have a studio in Lower Prospect. What kind of music do you listen to while you work? I listen to CBC radio a lot in my studio; I like hearing talk when I work and relaxing to music afterward. Mason's cabin at Kejimkujik National Park. You can ski, snowshoe, hike, bike or canoe the 20km to get there. Winter is my favorite time to visit; even a lay-person like me can see how full of wildlife the quiet park is when their tracks are all over the snow. Kyla makes the most amazing glassware. I've gifted them last christmas to my mom, and she tell me she thinks about me every time she uses them.